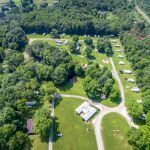 Ask fellow campers about "Chestnut Ridge Park & Campground" and nearby attractions. We stayed one night on our way to NY. The grounds were neat and clean. The eight pull-through sites did not have sewer. There were bees inside the electric box when we hooked up. The 30 amp electric tripped when we ran the microwave and coffee pot in the morning. There were some low hanging branches on one side of the road going out. We would not stay here again. We camped at Chestnut Ridge Park & Campground in a Motorhome. Traveling on the I-80 we needed an overnight spot and this was perfect. 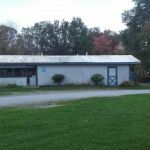 Beautifully kept large grassy park with a lake and facilities to large gatherings, spots for long-term visitors, and a large grassy field for pull through overnighters like us. Perfect. Lots of elbow room and a friendly staff. The owners are working to improve the park and decided to not sell it to developers and keep it as a park. What a good thing. The WiFi doesn't work on site but our Verizon phone worked good and satellite TV on the roof came through so we were happy. We were charged $25 but asked that if we used our AC to come back to the office and pay another $5. That was fair. We will certainly stay here again for a night or two if traveling though the area. We camped at Chestnut Ridge Park & Campground in a Motorhome. Lovely setting and friendly host. This was an excellent, quiet setting for an overnight stay in one of their pull thrus. The water and electricity functioned properly. We enjoyed our stay. We camped at Chestnut Ridge Park & Campground in a Travel Trailer. They only have 39 sites with full hookups. They were rented to extended stay folks and none of them seemed to be there. 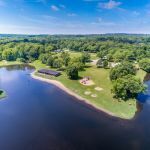 This is a park like atmosphere with activities that would be found at a private lake. The poor rating is based upon the decline to use the dump station, and the worthless bath house facilities. I was told to use the dump station at Flying J truck stop back at the interstate because it was free. The bath house was made from old non stained wood and was black from water stain inside. You pulled on a chain and received cold water out of a pipe without a shower head on it. The floor was bare concrete that had not been cleaned in forever. There was an old locker in the entrance that has an animal nest in the bottom, where some kind of creature had spent the winter. It had not been cleaned in years. If you just want to stop and stay the night with water and electric, using your own self contained bathroom, this would be all right. The grass was mowed and the lake was a nice touch. We camped at Chestnut Ridge Park & Campground in a Travel Trailer. 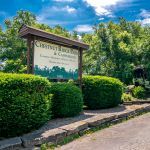 Are you affiliated with Chestnut Ridge Park & Campground ?